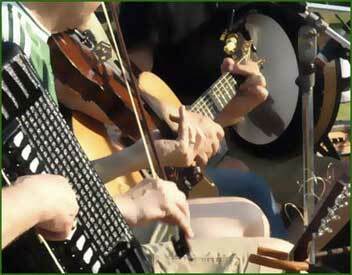 Don't forget the Catskills summer season gets an early start and boost with the 34th annual Memorial Day Irish Festival organized by Tommy McGoldrick this Saturday and Sunday in East Durham at the Quill Festival Grounds. Two full days of entertainment including popular acts like the Whole Shabang, Black 47, the Prodigals, Celtic Cross, Shilelagh Law, Jameson’s Revenge, Andy Cooney and Kitty Kelly will appear. Visit www.irishvillageusa.com or call 518-634-2286 for more info. And stop by and take a look at the Blackthorne Resort’s brand-new restaurant/bar and hotel complex risen from the ashes which had its official ribbon-cutting last Saturday, marking its phoenix-like reappearance in just four months time. Hats off to the Handel Family and good luck with the upcoming season. And you might run into Yvonne Furlong there who just may be spending a lot of time helping her Handel family friends to break in the spanking new facility.